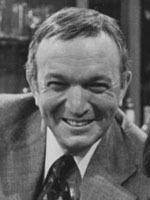 Bernie Barrow's best known role was Johnnie Ryan, patriarch on the soap, Ryan's Hope. Remember him well. First with Edge of Night, then Ryan's Hope. Very convincing and appealing actor and voice.